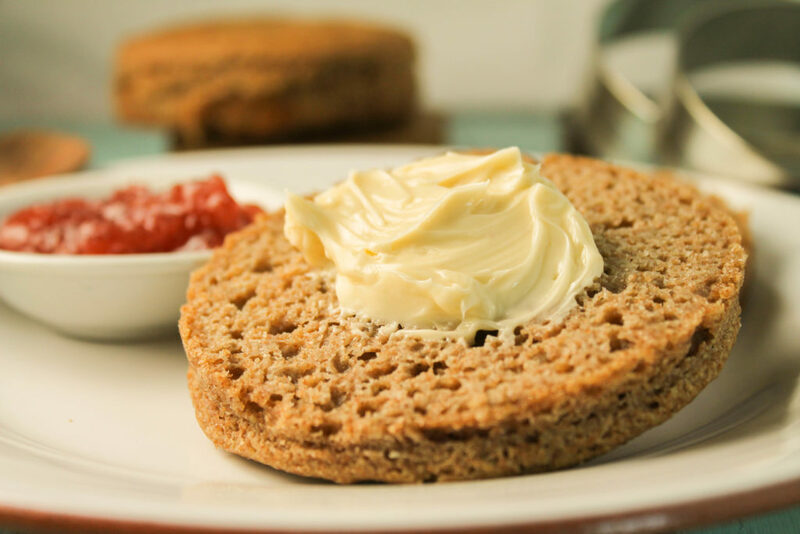 This soft gluten free teff bread wins every single person over…gluten free or not! 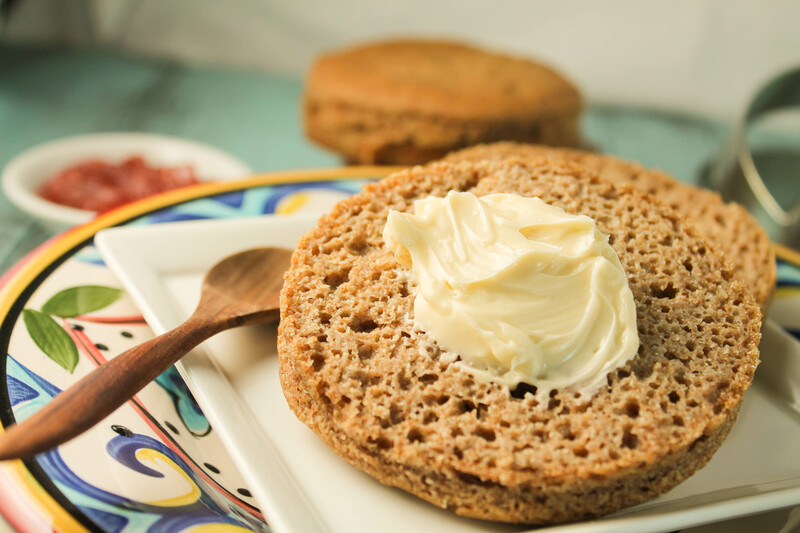 Delicious gluten free bread IS possible, and soaking makes the grains more digestible! Soft and totally delicious gluten free bread that is wholesome and nutritious??!! It’s here! If it is one thing I am sorely lacking on this blog…it would be yeasted breads. Gluten free AND vegan breads are a very tricky endeavor, and most recipes and experiments that I try are not worth sharing. eggs provide much needed lift to dense-leaning gluten free breads. Without eggs to lift away, dense bricks are a very common side-effect! because we can’t use wheat (and the structure gluten provides! ), breads are not as willing to lift up …yeast or no yeast. And this lack of structure can also result in crumbly breads. I have made more gluten free and vegan breads than I can shake a stick at. Without a doubt, using eggs makes gluten free breads SO much easier! Problem is…my son can’t have them still, and he LOVES bread! So I also need to make sure the breads are as wholesome as possible, and as simple to digest on his belly as possible. I ran across a recipe months and months ago and have been playing with this recipe ever since! Why do we soak grains? In layman’s terms, soaking the grains in an acidic medium allows for those protective coatings to be broken down so that our bodies can digest them easier, and get all the nutrients more readily too! You can read more information here. As an added bonus, it lends a wonderful crumb to gluten free breads. I have experimented with multiple grain combinations and ratios and have found they all work. I almost always find whole millet in the bulk food section, and buy my teff online. UPDATE: We stopped using millet for my son recently and make this with half teff and half brown rice now…still great!! Why do I prefer the English muffin style? Since there is no eggs for additional loft, the lack of structure can result in a sunken cavity when you try to bake a whole loaf (a lot of weight to lift!). Baking in smaller portions fixes this! And while I prefer the mini loaf and English muffin route, I have done this as a loaf as well. It is important to use a sturdy bread pan, here is my favorite loaf pan. But English muffin rings are so darn cheap, and there is no sunken cavity afterwards…the small amount of dough is easy enough to lift!! I suggest at least 8 rings and at $5/4, they will not break the bank. Even better, you have convenient single servings ready to go! A perfect, moist gluten free and vegan bread that holds for days and does not crumble. A lovely sourdough tang..I simply cannot get enough of this bread! Yum! It is also worth noting that everyone who tries this, LOVES it….gluten free or not! I tried doing this in my food processor for those who do not have high powered blenders, but the teff grains were just too tiny for my faithful Cuisinart to pulverize. How about using the flour instead? I HAVE ALSO tried this with soaking the flours and it worked well. Reduce the liquid to 1 2/3 cups water and use the same measurements as the grains for the flours. Mix in the remaining ingredients after soaking. Here are some additional breads our family enjoys! 3 tablespoons honey you need to use at least a tablespoon for the yeast, but you can play with the amount if you like 'sweet brown bread', You can use maple syrup or coconut nectar for vegan. I always use part stevia. Either before going to bed, or first thing in the morning, place the water and vinegar into a high powered blender jar (i.e BlendTec or Vita-Mix). If using the flours, start them soaking in a bowl. Stir in the teff, millet, and brown rice, set aside for at least 8 hours. The longer you let it sit, the more fermented it will taste, fyi. Proof your yeast by whisking your yeast into the warm water and honey. Set aside for a few minutes to get a slightly poofy, creamy froth. If it doesn't do this, your yeast is old or the water was too hot and you likely killed it....start over. Pour in the proofed yeast mixture to the soaked grains, along with the oil and salt. Blend on high speed for one full cycle (about a minute) until all the grains are pulverized and the mixture looks like a batter. Teff is super tiny, so there will be some specs of it left. Decide whether you would like to use a loaf pan or English muffin rings (my preference) and grease them up. I can make about 10-11 English muffins with this batter. Pour the thick, sticky batter into the rings (you should need the help of a spatula to move it), about 2/3 of the way up. If doing a loaf pan, use a sturdy pan, I linked to the one I use above. Let the dough rise in a warm place. I like to use my oven that has been briefly heated and then turned off. My English muffins rarely take longer than 15 minutes (the blender warmed everything up nicely) to rise to just under the rims of the rings, and my loaf takes at least 30-45 minutes. We are not going for double in size here, about half that! Removing the pan when rising almost complete, turn the oven on to 375 degrees. Bake in a preheated oven for 20 minutes until golden brown and the internal temperature is at least 205-210 degrees. If using a loaf, this takes me about 50-55 minutes to reach that temperature. Remove from the oven and let it fully cool for the best texture. Store in an airtight place, in the freezer if you like! These sound amazing — can’t wait to try!! Can this recipe be made without chia or flax because I’m allergic to omega 3s? Yes! It is a binding/thickening agent. So either try 1 teaspoon guar gum/xanthan gum or 1/4 cup psyllium husks, or 2-3 teaspoons psyllium powder. Hope that helps Venus! PS – do you have any other gluten-free soaked breads that you like? I can’t find any on your site but was just wondering if you’ve tried and enjoyed any others. 🙂 Thanks! ps, high five on adding foods back IN…that’s a HUGE….I know the feeling well!! whether flours or grains, use 500g total of whatever mix grains/flours. That should do the trick Erin!! Here to help in any way!!! I am soaking a batch myself!! And no…tried many soaked recipes, but haven’t loved any of them…I want to start experimenting to create more soaked versions of all sorts of things, so I am experimenting! Thanks! I was wondering about the soaking liquid. It says 2 cups for whole grains and 1 2/3 for flours. I was thinking about just using 2 cups anyway since whole grain teff is so tiny anyway. That’s what I ended up doing! I finally made it today and it’s great. We can’t have yeast so I used 1 1/8 teaspoons of apple cider vinegar and another 1 1/8 teaspoons of baking soda in its place. I still used the 1/4 cup proofing water but left out the honey since I wanted to give this to my son. I poured honey over my pieces and loved it. 😀 I also used the gelatin option. Thanks so much for all the options! And yes – he can now have carrots, strawberries, stone fruit, grapes, peas, and cocoa (YES!!! :D). The neatest thing is that he can have cocoa thanks to you. At the last minute I decided to grab a brand of organic cocoa powder at the store, remembering what you said about results being different from brand to brand. He went from a 0 (what the doctor uses to indicate that it should never be eaten) to a + (which means it’s totally fine). I don’t plan on giving him anything chocolaty for a very long time but I’m so happy that when the day comes, he can have it. Gelatin was also a 0 for us before but I ordered another brand from the US and it’s now a +. Woohoo! We can’t have eggs so that was awesome. Thanks again for all your help! 🙂 I’m going to order more English muffin rings now that I know I’ll be making this regularly from now on. i wasn’t weighing the flours when i gave those directions…and 1 1/4 cup grains vs flour very different weights! I need to go remedy that! So great on a yeast free version!! Glad to know what works…and honey was only for the yeast anyways! SUCH great news on your son!! We learned eventually, brand to brand makes a big difference, and product itself. So gelatin was a no for us until we realized that depending on where the pastured animals were grazing…they could be exposed to massive amounts of glyphosphate. We now use Perfect Supplements exclusively since they test for round up and make sure it is not there! And here is another bee for your cap…i eventually have developed a kind of uncanny second sense about what my son can tolerate…and sometimes…if he got a ‘o” on something, we would try a different brand, or sometimes, take it out of the packaging completely and be totally successful (dyes, bleaches, plastics!) I guess only when you have as super sensitive individual……sigh! o glad you are enjoying the toast and found something he can have that you like!!! I am sure you’ll devote it to memory like me in no time! thanks Erin! I started using 2 mini cake pans (6 ‘cakes’ each) a few months ago, and it is a lot easier than the English muffin tins. I increased your recipe by one quarter more (1 1/4 times), and it makes enough for these new pans. I love it, and it is much easier. I am using sorghum and teff now 50/50, as brown rice takes up arsenic from the soil. It tastes great!! great idea Carla, I am sure others will totally appreciate learning your tweak!! I have yet to try whole grain sorghum…haven’t see it, but I want to!! When you say “psyllium husk” – is is whole psyllium husk or powder? NOT the powder, the husks!! The powder would be far too gummy, so if you DO use it, a teaspoon or two would be plenty Iwona! 2nd approach was better using the husk, but it didn’t rise as nice as yours on the picture with nice little wholes. Family and I love the taste and the fact of simple ingredients, so today it will be my 3rd try. I use half teff and half rice proportions, no millet, flax meal (not chia meal) and psyllium husk (not xanthum gum). Have you seen a difference in texture using flax meal not chia and psyllium husk vs. xantham gum combinations? Which combination did you have the best rise and texture? I have used chia for so long now…I don’t remember if flax was different when I tested it way back when! Did you let them rise long enough? Just to the rim surface of the mold? I now use the chia and gelatin combo almost exclusively. Yes, they were rising for over 15 min in nice warm environment. Thanks Iwona, here to help anytime! Thanks so much for sharing this great bread recipe. My husband and I love it! And I have tried several other teff bread recipes, cause we love teff! We have been gluten free about four years, now. I have been making your recipe for a while. I am trying to be more ‘whole foods, plant based,’ so I recently lowered the oil to 2 tablespoons, and added two tablespoons applesauce. And I only use 1 tablespoon agave nectar. This is the only healthy, moist teff bread recipe I have found. I am using half brown rice and half teff. Thank you Carla! Glad you love it as much as we do! Isn’t teff the BEST?! I do my best to convince people…and I’ll keep trying To! I’ve never used teff or millet before, can’t wait to make this! I’ve never tried using Teff! You are SO right about GF baking without eggs, it’s so tricky! I find I’ve made so many grain-free desserts and breads that would never be shared because they are just plain…awful! This bread looks so good – and what a good tip with the english muffin rounds – I’m sure they bake up really nice when they are smaller, as well! I’ve often said how thankful I am that, with all of my other food intolerances, I can eat eggs! Gluten-free bread baking is such a challenge even with eggs, so I appreciate your dilemma. Soaking the grains is an interesting twist here, too! I soak seeds and nuts but haven’t tried anything like this. It looks great! I’ve got to get an English muffin pan! So fun! My kids would love if I made these and I love that you used teff, I haven’t used it in a long time and I forget how yummy it is. Love how you have sprouted the grains to remove the phytic acid. This is a great healthy alternative to traditional breads. I love how you soak the grains to remove the phytic acid. This is a great recipe for those that are looking for a healthier alternative to traditional bread. Love that these are soaked! I’ve never worked with teff before, but I have eaten it once. Pretty tasty! How neat is this bread! I have never used teff before and this recipe will be perfect for me to try it. Love everything you have in there and the grains are soaked. Gluten free bread is so tricky! This looks so light and fluffy though, good job! Will try it out! I can’t get over how amazingly “bready” these look, it’s so hard to get GF egg-free bread to do this! What an incredible recipe! This looks so tasty!! I’ve never worked with teff before and now I’m totally intrigued! teff is my absolute favorite…I think to work with it is to love it…and it is SO nutrient dense!!!! Love that you made bread with soaked grains! I don’t digest a lot of grains well so I’ll have to give this method a try. The final result looks so moist and delicious! my son can have eggs now…but for 5 years they were out (but we STILL prefer this bread over any!)!! Yay for healing!!! Interesting! I have never heard of Teff bread before today! Wow I cannot believe this is gluten free! Looks incredible with those air holes! Thanks. I made it and was delicious . ? If I want to cook the grains as a side dish , do I have to add the vinegar to the soaking water and then rinse it or cook them with the soaking water ? When you rinse them is better to get rid of the anti nutrients ? Also , I been having problems each time a add apple cider vinegar to the soaking water for the legumes .the next day I rinse them and try to cook them but they never get soft. That only happens when I add the vinegar. I cook grains all the time and never add anything to the water or even soak them unless I am sprouting. And never cook beans or legumes in any acid because they won’t soften. The vinegar in soaking water is more for fermentation – kinda a mock sourdough. I would just cook the grains…I am not a phytic acid expert unfortunately, so I don;t want to steer you wrong Chana! I have never had a problem with the acid in the water for beans…but I do not cook it in the same water and I don’t add salt until the end either to avoid the tough skins. Hi Tessa ? I guess you are been very busy and that’s why I didn’t get any response. ? Any way. I want to tell you that I put 2 cups of teff in warm water and 1 tbsp of apple cider vinegar. Put in in the oven “off” just to be in a warm place and the next day I try to rinse it using a cheesecloth. Omg. What a mess. All the little grains got stock in the cheesecloth and was a horrible experience. If by any chance you have the time to give me a tip or answer the questions in my last message I will really appreciate it ? oh yes…teff is so tiny, no wonder you had problems!! Hopefully I answered your question with my previous response, let me know if not! Hi Tessa ? I will need your help help. I always soak millet , quinoa and buckwheat in warm water but never add vinegar or anything else. The nesxr day I will rinse the grains and cook them as usual with less water. Is that enough for remove the pythic acid or I have to put vinegar ? Also I want to try your recipe but I don’t know if I have to grind the teff and millet and then soak them with the water and vinegar or I soak them first and them put the grains in the high power blender. And should I discard the water where I soaked the grains ? Maybe my questions sound silly for you but i’m a little confuse ? Thanks for your time ? So sorry…never got notification of this comment Chana!! The acid medium is more effective at breaking down the phytic acid. No need to grind the grains in advance., and I blend with the same water it was soaked in, doing the soaking and grinding in the same container. You do not want to add the soda or baking powder in advance…they react to the liquids and acids…so if you do it in advance, you lose the lifting power! This is the first GF bread recipe I’ve tried and the end result has been fabulous! My 4th loaf is in the oven now! Since eggs are not an issue for us, I added two as well as baking powder and soda. Nice rise and great texture. I’ve soaked my grains overnight each time. Wonderful recipe, Tessa, thank you for posting. just getting back from vacation Wendy….I have never weighed (although nowadays I do it more often!). If you are patient, I will do that next time I bake them for you. Or, I refer to the flour directions in the last paragraph of post above the recipe box! Just tried you great recipe! It is SO yummy. I have been making a soaked millet/buckwheat bread for some time, but yours has an even better flavor and texture, and will now be my new favorite, since I do love Teff. I used one Tbl. honey, 2 Tbl. of psyllium hulls in place of gum, and baking powder instead of yeast. I still added the 1/4 c. water at the end to be sure there was enough total liquid, then stirred in 2 tsp. of baking powder. Thought you might want to know just in case some may be sensitive to yeast – and no rising time. Even forgot the starch. Rose wonderfully, and sliced perfect without it. Thank you for working so hard to create this, and for sharing. Thank you Pat! I have been using 1 tablespoon of gelatin lately to replace the gum, it also works well! I appreciate your feedback, great to know the no yeast version works well! I am assuming it would be the same, but I measured my grains and it was 500g or 18oz Wendy! Thanks pat ? This really help me a lot. I can’t have yeast or gum. this looks like such a great recipe! i’ve heard of people soaking their grains and then pureeing them to make a bread but haven’t been able to find one that uses nice whole grains like teff and millet. i absolutely love teff so i will be sure to try this! I’ve always wanted to try soaking first but I never remember ahead of time. I love how easy you make this sound. Definitely trying these soon! 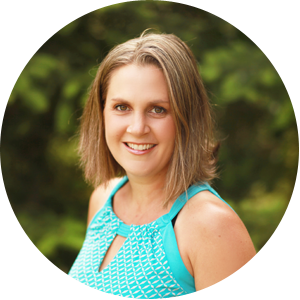 My fellow teff lover….Laura this is DEFINITELY one you need to try! Tessa, this is the loveliest-looking little bread bun I’ve ever seen! Gorgeous recipe and I love that it uses teff — such a little used grain, but so good. We’ve tried teff in a gluten free muffin recipe, and it was amazing. I’ve pinned this to try. This is so fabulous! I need to stock up on some more Teff flour! Teff is my FAV Rebecca! I never get caught without it! I just used this recipe for the first time, and am very impressed! I made it with flour instead of whole grains. I’m currently eating an English muffin and it is moist, chewy, with a great texture and mild, nutty flavor. I have a mini-loaf baking in the oven, and hope that turns out as well. I did tweak the recipe slightly, using two eggs instead of chia meal. I think when using the flour, the overall liquid amount needs to be reduced to 1-1 1/3 cup. Using 1 2/3 cup liquid plus the vinegar, honey, oil, and yeasty water made a much too thin batter. I ended up needing to add about 6 T teff and 3 T each millet and brown rice flour, plus a bit more tapioca starch and guar gum. Granted, I did not account for the extra liquid of the eggs. When I make this recipe again, I will use 1 cup water, 2 eggs, 2 T vinegar and about 2 T water for the yeast, with the original flour amounts. I will let you all know how it turns out! Thanks for sharing all your details Seth…it is so helpful to other readers!! I am new to the concept of soaking grains. I am still in the soaking phase of this recipe, instead of using whole grains I am using flour. I measured the weight of the whole grains and used that weight in grams of flour. Should I use the original amount of liquid? Hi Pam! I have never done the weight measurement way with the flours….do you know about how many cups total of flour you ended up using? I would *guess* that you would be perfect with the original amount of liquid!! If you need to add some tapioca to thicken, that is ok! The bread turned out fantastic! I didn’t measure by volume, just by weight with amount of water called for in your recipe . Thanks again! Yay Pam, we make this bread all the time and have never found one we have liked more that is vegan…so glad you liked it too! Thanks so much for your feedback, i really appreciate knowing my recipes are being used! Thank you so much for your wonderful recipes. I am going to attempt to make this bread for my son and he is okay with eggs. I was wondering what I would remove from this recipe to include eggs. Hi Michelle! 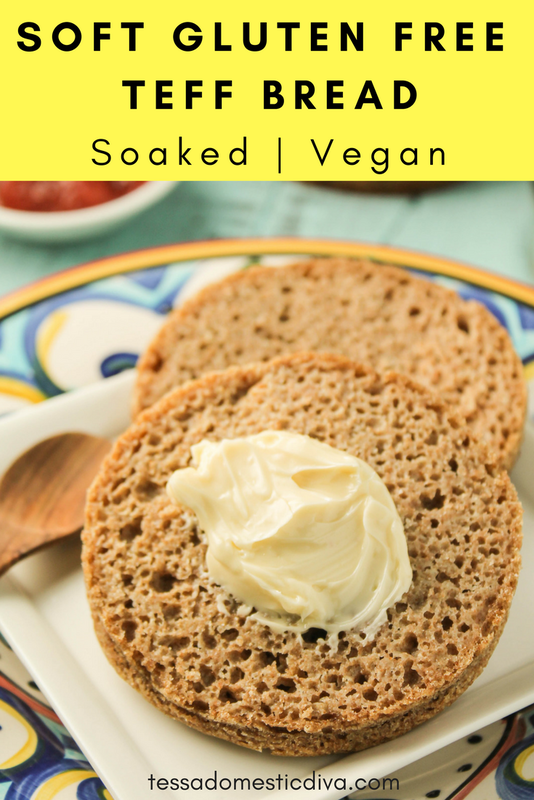 This recipe is very near and dear to my heart, we make it at least two times a week and all people, gluten free or not love it too…which is a testament for a gf/vegan bread! To make this with an egg, leave out the chia or flax if you want, and reduce the overall liquid by 1/4 to 1/3 cup, my guess is you could even get away with two eggs for additional lift. I’m so glad I found your bread recipe! I’m looking to avoid guar gum or xanthum and yeast…any suitable subs? For the gums can I add egg for binding? Can I use baking soda/powder instead of yeast? Also, would gf oat flour or quinoa flour work in place for rice flour?Thanks!!! Hi Anastacia! While it will certainly change the flavor and texture of the end of product, go ahead and try leaving the gum out, add an egg, and maybe 2 teaspoons leavening (1 teasp each baking powder/soda). And yes, you can sub those flours in…but it will change the end product…it would be fun to hear back from you if it works out! For the options I used brown basmati rice, arrowroot for the starch and xanthan gum. Currently I am cooking with one arm so second time I made it with flours instead of whole grains and mixed it up with my powerful 5 speed hand mixer that has 3 dough hooks. Out of curiosity, I swapped around the millet and teff amounts. To avoid the loaf collapsing as it did the first time I added a whole egg since we do not have a problem with eggs. I had forgotten to reduce the water volume for soaking flours instead of whole grains so the batter seemed a bit too loose compared to the first time I made it; I gradually added sweet rice flour(about 1/2 a cup) then spooned it into my parchment lined stoneware loan pan. As a variation, I did a hot water microwave oven proof for and hour, preheated my electric oven to 375 put the loaf in and lowered the temp to 350 and baked the bread until the internal temp was 205-210 – over and hour. I have had trouble with things burning so I have put one oven rack at the very bottom and placed a pizza stone on it. This seems to help distribute the heat more evenly and help the oven temperature to remain more constant. I love the muffins tin idea – perfect for burger buns too. Mine were too crumbly when I tried to slice them though. Any ideas? I also couldn’t get the thermometer above 180 so maybe I overcooked them. Yes Barbara, these should not be crumbly at all. Possibilities include over cooking, not enough moisture, or leaving out the gum and chia! This is excellent! Thank you! I made the English muffins this morning. My question is about the baking time. Do you start your 20 minutes after the oven reaches temp? Or did you start it as soon as you turn the oven on? I never came close to 205 degrees. The most I could make was 180. Hi Monica! I am glad they were good regardless of temp…all ovens are different, and your thermometer might be off (have you tested it in boiling water?). The temp way is not a sure fire way anyways, just another tool to have in our baking boxes. I start from the time I turn my oven on, but sometimes add an additional few minutes. Thank you for your reply. I haven’t thought to test my thermometer. It’s fairly new but that’s a good idea. Either way, I know I’ll be making these again. And it’s good to know when you start your timer. Thanks again! I would love to try this bread out. I have been looking for a good gluten free bread for a long time. I bought a kind called Blue Monkey bread that is really good. It has Teft, Millet, Sorghum, and Tapioca starch in it. But I am having trouble finding it anymore. Can you tell me what I need to do to make this recipe using flours instead of the grains. does the flour need to be soaked? I would like to leave out the tapioca starch or any starch. What Can I substitute instead to keep it the same texture? My suggestion is to reduce the water by 1/4 cup, and blend the grains initially and then soak Joo. Any flour would work for thickening though…. Your bread has a wonderful crumb structure, and shows good browning. Would you mind posting the flour weights that you used in your later test batches? Weights of the whole grains vary a lot from different sources. Also, any idea why using flours requires an additional half cup of tapioca starch? This bread sounds fabulous but my doctor won’t let me have oil. Could I leave it out of the recipe or do I need to add a substitution? Any fat Barbara? Improvs texture…but you could replace with additional liquid, but if you can use any fat, I would! Hi – can you leave out the honey or is there a substitute for it? Hi Maggie! Any sweetener will do , liquid or granulated. The yeast some sugar to grow, as in all yeasted breads! Hi Tessa, My kids are very excited about this recipe, but I only have these grains already ground. I do not have a mill so I rarely buy the whole grain or seed. Have you tried this yet with flour and if so, would you share the measurements? I love your recipes and this one has my family VERY excited! Thanks for sharing with us! Started with same measurements as whole grains, and then ended up,adding an additional 1/2 cup tapioca starch (3/4 total). Also to proof the yeast, I used only 2 or three tablespoons as I could tell it was thin and did not want to,add additional liquid! At the end, you want to have a very thick batter that only pours slowly from the blender WITH assistance from spatula! So what about adding more of the flours as opposed to the starch? How did that batch turn out? Sure Julie, I was just trying to avoid unsoaked grains for digestion reasons…tapioca is technically grain free, which is why it is not soaked in ts recipe too. The batch turned,out great! I’m going to give it a whirl :)! Your site is a blessing to me and my family. Thank you for putting the time and effort into all that you do. Hi Tessa! Thanks for sharing this recipe. I am always looking for gluten free breads which contain whole grains and this looks awesome. I love the fact that it is also yeasty, because I miss this kind of leavening! Tessa, I have made the bread twice in a loaf pan. It is delicious. One problem, though is it raises nicely, but before it is completely baked, it sinks in the middle leaving a large hole. Any suggestions? I live in Flagstaff AZ and elevation is 6600 feet, not sure if that is causing a problem or not. Hi Pat!! GF Vegan breads are tricky for this very reason. Without eggs for structure, the sinking hole problem is a common one….this is why I like to do them as English muffins or mini-loaves…with not as much weight o lift…the chemistry works and the structure remains intact. Some ideas to play with: adding a protein like a bean flour or nut/seed flour (or some whole nuts) for additional structure. Additional flour to thicken it up and it make it easier for the weight of the full loaf to be supported. I’m going to try this, but blend my teff in my coffee grinder before I soak as I only have a food processor. I’ll let you know how it goes. Your bread sounds so wholesome. I’ve heard so many good things about soaking grains. Love how it looks made in the English muffin pans! Wishing you a peaceful Memorial Day Weekend and thank you so much for sharing with Full Plate Thursday. I am new to teff but would love to try. The bread look perfectly baked. Hi! What a great looking recipe! Just wanted to let you know about From the Farm blog hop. We have between 200-300 posts linked up every week, and about 10000 views a week. It is a great way to promote exposure to your site. Your recipe is just the kind of thing we are looking for! Check us out every Friday and link up! Thanks. I am so terribly intimidated by bread recipes but I have got to do something about that because I’m trying so hard to get bread and other processed foods out of my pantry! Not sure if I have the nerve to try this recipe yet but I’m def keeping it for when I do get the nerve up. you can do it TAMMY!! Can’t wait to see what you are bringing to the party this week! We have another GREAT giveaway! This looks great! I too have discovered the genius of baking breads in English muffin rings – and they freeze so nicely. I’m pinning this recipe for sure. This sounds delicious – but if I don’t have a high powered blender, can I simply soak the flours – teff, millet, and brown rice? Just curious, before I go through the effort here. Kerstin! I actually attempted this in the food processor to see if I could get it to work for those with no high powered blender, but the teff wouldn’t budge! Yes, soaking the flours should work the same, but I think you use slightly less flour than the whole grain. This is a thick quick bread texture…I will attempt this next time with flours and see if I can figure out the measurements! If you do it before me, let me know! Tessa, this looks so good. I’m not sure if my cooking skills are up to par with yours but I think I might need to try it out for this one. I like the fact that you are so conscious of food allergies. It looks like there are more people than ever that have to deal with food allergies. Thanks to people like you though they are not completely limited in what they can have. By sharing these recipes you are helping others that are dealing with food allergies. Thank you for that! There are also some of us that just want a chance to eat healthier and treat our bodies as well as we can. Now it is off to the kitchen to see if I can make this successfully. This is a pretty easy recipe Elle, happy to help if you have any issues! My daughter (age 3) just got diagnosed as gluten intolerant. I’m doing my best to make sure she can eat foods like the gluten containing counterparts… If I were to bake this in muffin pans do you think it would turn out? I don’t want to buy the English muffin rings and then find out she won’t eat these. (She’s somewhat of a picky eater) Thanks for your time and sharing the recipe! YES KATE, or you make forms out of foil too! Tessa, I am so excited to try this recipe! I just made a version of the unsoaked teff bread, and it was amazing. I know soaking makes it even more healthy, so thank you for posting this.